The white sedans came from nowhere, sliding to a stop amid a plume of dust. Out stepped Haji Zahir – the figurehead for Nato efforts to bolster governance in Marjah, a sleepy Afghan backwater that has seen precious little of it over the past two years. Marjah is the Taliban stronghold which General Stanley McChrystal, until recently the Nato commander in Afhganistan, famously called a “bleeding ulcer”. The coalition showcased the district and made it the focus of its campaigning earlier this year, pouring in thousands of US and Afghan troops in one of the most heavily advertised attacks in history. They also installed what officials called “government in a box” and made Mr Zahir Marjah’s new district governor. US and British experts work with him, struggling to build a local administration from scratch. This approach and its subsequent success, the thinking went, would show the war could yet be won. On this particular evening Mr Zahir was the model of a local politician. He had come to encourage young men to join the fledgling police force. “We will pay their wages,” he assured families gathered at one of the intersections that criss-cross Marjah. They heckled him; he stroked his beard; they jabbed their fingers; he grinned broadly and settled everything with a firm word and a friendly hug. Then, sunglasses set rakishly on his nose, off he went in search of more constituents. In a country fractured by mountain ranges and ethnic splits, local government can assume an importance unseen in more benign environments. Turning it into a functioning branch of the state is integral to Western hopes for a stable Afghanistan. Yet months after Nato and the Afghan government first rolled in, Marjah appears to some to be stagnating. “Everyone involved, of course, would like the process to move faster,” explains Mr Messmer. But to ensure that schools, clinics and refurbished irrigation canals – crucial to a community that has reclaimed its farmland from the Helmand desert – stay open long after the coalition has left, “we all want to do it right the first time”. It is the slow rate of progress here and across Afghanistan that has helped undermine the relationship between military and political leaders in the West, culminating in General McChrystal’s astonishing resignation last week. There is little sign so far that his mentor David Petraeus, who has taken over direct responsibility for the Nato campaign in Afghanistan, will abandon his protégé’s strategy – and he has notably failed to endorse timelines set by President Barack Obama to start bringing US troops home. It is what happens in the shadows, though, that will, perhaps, have the largest impact. Night and day, bearded men wearing Afghan robes walk into the Helmand countryside and try to persuade people here to stand up against the insurgents and criminals. They are US Special Operations Forces. And worryingly for politicians still hoping for an imminent exit, they say there is nothing to suggest change will come quickly. Captain Matt, a Green Beret operating in southern Marjah, describes what his 12-man detachment does as “weeks and weeks of going out and talking, talking, talking”. 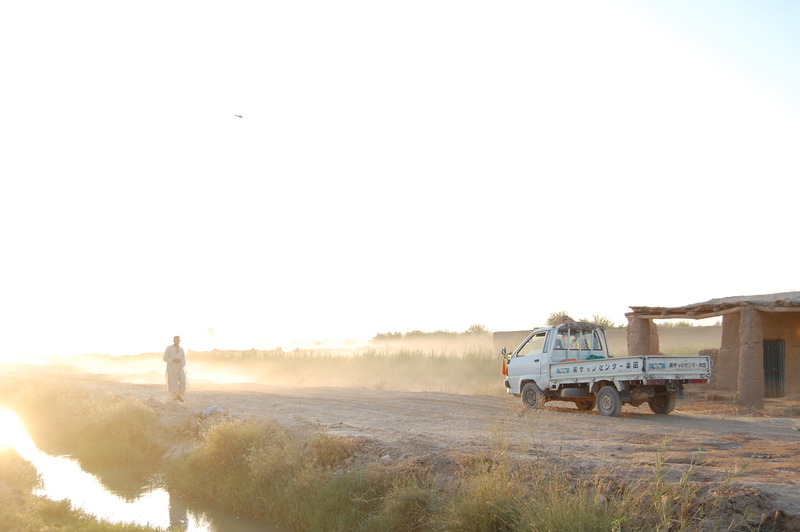 Because Marjah was a patch of uninhabited desert until a 1950s development programme brought water to the area, it lacks the social cohesion of more traditional Afghan settlements. “It’s a tough thing to put your finger on,” he says. “People are scared of each other as much as of the Taliban. When a single tribe is in an area they’re more comfortable but here it’s very small enclaves. [There’s lots of] mistrust. People are worried about sparking jealousies.” With “300 major tribes” present, this splintered demographic – “like New York City”– is hindering efforts to create anti-Taliban unity among Marjah’s residents, Capt Matt says. Poverty and a lack of understanding of what the counter-insurgency is trying to offer compound the problem. “Most insurgencies over the past 40 or 50 years are pre- or post-colonial failure,” Capt Matt says. The intimidation campaign waged by the Taliban is not as potent as some in the coalition feared, but it is much in evidence in southern Marjah. According to US forces, out-of-work men regularly let off rounds of gunfire into the air to make cash by fanning perceptions of insecurity. Yet anyone who accepts support from Nato is questioned by the Taliban within 24 hours. And when the provincial government issued a curious edict, banning the use of motorcycles for 10 days, shopkeepers in the bazaars – symbols of government control, Nato largesse and Marjah’s future prosperity – were ordered by the insurgents to stay at home under pain of death. Crouching down in a lush green field, an informant told one US patrol that the Taliban wanted to create the impression of a local strike against the edict, which was hampering their operations: motorbikes are the militants’ preferred getaway vehicle. Several villagers saw fit to discuss the intimidation campaign with the US Marines they see daily. But no one wanted to cross the insurgents, and their shutters stayed down, day after day.